STICKERS! 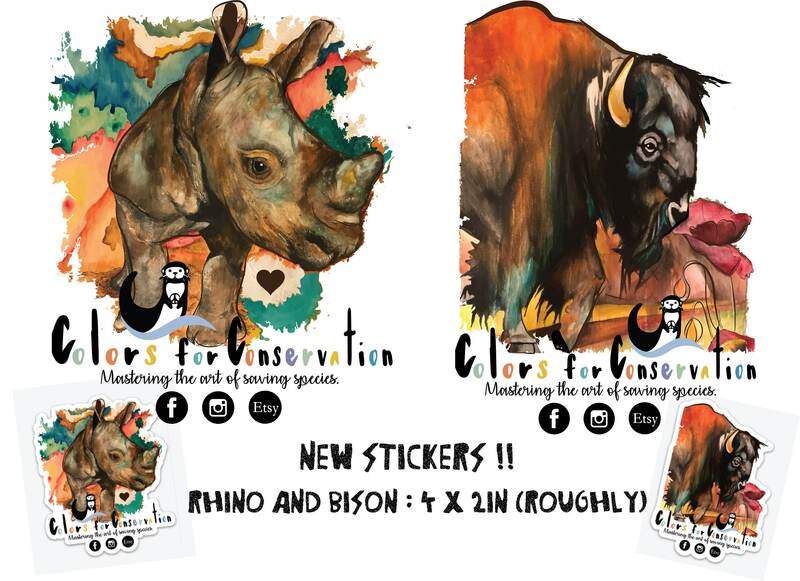 - Rhino and Bison Original Artwork - Vinyl Stickers -4"x2"
100% OF PROCEEDS GO TOWARDS the "Save the Giants" initiative in Guyana, South America, which aims to empower local people with the resources and funding they need to preserve and protect their natural resources. Stay tuned for a formal rollout of this project within the next couple of weeks. 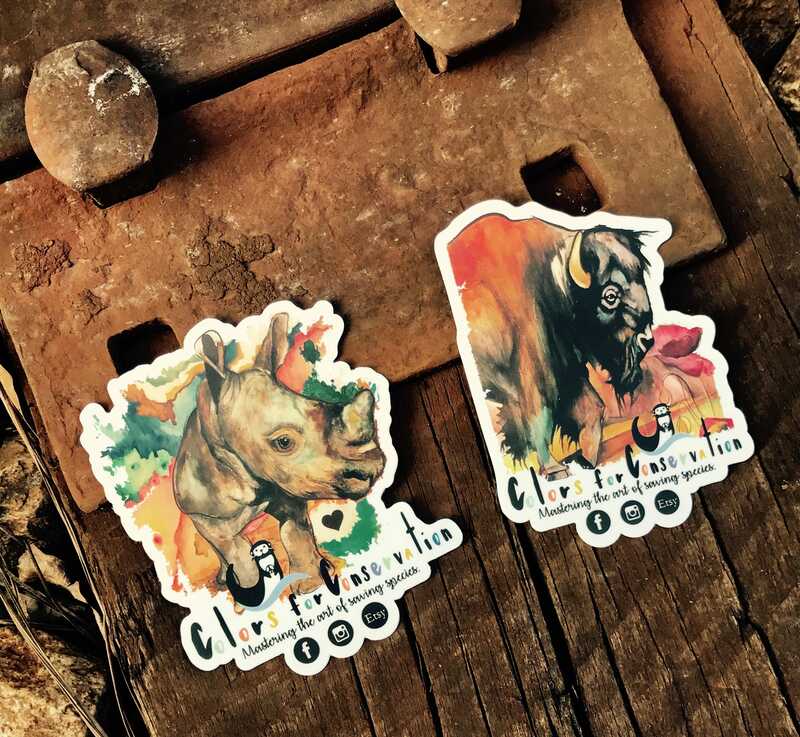 4"x2.5" (roughly), Made from a durable vinyl with a laminate that protects your stickers from scratching, rain and sunlight.